On December 10th, the office of Ukrainian President Petro Poroshenko drew up plans for a huge graveyard to accommodate 250,000 corpses for its soldiers in the Government’s renewed military plan for next year to conquer the regions of Ukraine that reject the coup-Government that was imposed upon all of Ukraine when the United States hired mercenaries to carry out a coup in Kiev on 22 February 2014 (under the cover of the “Maidan” anti-corruption demonstrations), which overthrew Ukraine’s democratically elected President, Viktor Yanukovych. The rebelling regions of Ukraine are those which had voted about 90% for Yanukovych. The post-coup Government then started a military campaign on May 2nd to kill as many of the residents in the anti-coup areas as possible and to drive the rest to seek refuge in neighboring Russia, so that they will lose their Ukrainian citizenship and won’t ever again be able to vote in Ukraine. Unless those voters can be gotten rid of, the coup-regime won’t last; it’ll be voted out of office. 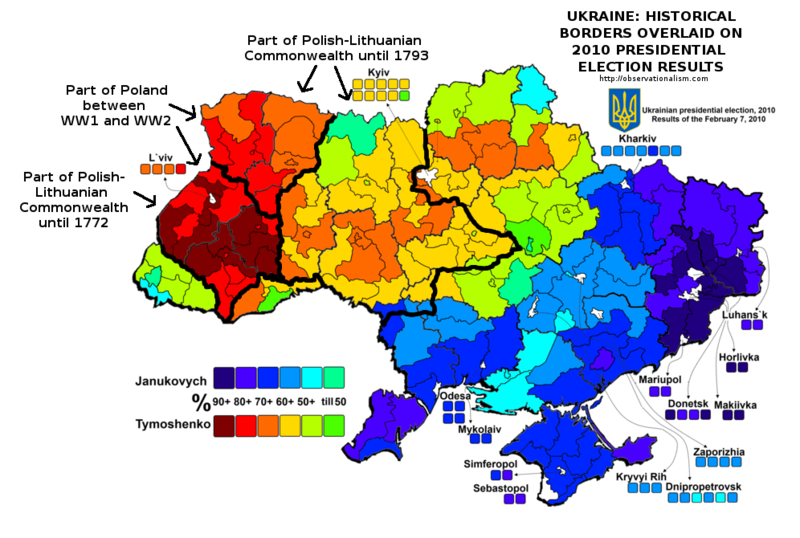 Thus, all of the Ukrainian Government elections post-coup have been only in the other areas of Ukraine, the ones where the coup was either welcomed or accepted: Yanukovych had won less than 50% of the vote in those areas of the country, and those elections had their highest turnouts in the most-strongly anti-Yanukovych districts. The post-coup regime is determined to keep the land in the rebelling areas, but to get rid of the people who have lived on it. Because of the enormous expense of this ethnic-cleansing campaign, the debt-level of the Ukrainian Government is soaring, and the Government is able to keep functioning only via money coming in from the IMF, EU, and United States. These are technically loans, but, when the Government goes bankrupt, which could happen soon, all of these war-loans will go to the back of the line and never be repaid; so, they’re actually donations to the war-effort, from the taxpayers in the U.S. and EU. On December 4th, 98% of the U.S. House voted to donate weapons to the Ukrainian Government, and on December 11th, 100% of the U.S. Senate voted to donate weapons to them. U.S. President Barack Obama is widely expected to sign the final legislation, and thus the Ukrainian Government is now planning to nearly double the size of its armed forces from the current 130,000 to 250,000 next year. These graves are intended for them. The soldiers on the rebel side will not be buried there, nor will the far higher number of civilians whom those 250,000 Ukrainian Government troops are expected to kill. These graves are only for the fallen soldiers on the Ukrainian Government’s side. Not for any civilian corpses, of which there will likely be too many to bury, even based on just the war to-date – and it’ll be far worse than that. The Dow Jones U.S. Select Aerospace and Defense Index has performed very well under President Obama. Its annualized total return for the past five years has been 20.88% per year; and for the past 12 months has been 12.64%. That’s not much different from the performance of the total U.S. stock market. However, if there is a ramp-up to total war against Russia, then these percentages could go much higher. And as this visual documents, Big Military has at least as much clout over the federal budget as does Big Bank, Big Oil, or any other constituency — and certainly far more than does the American public.